In addition to getting a solid night’s sleep (which your entire brain, body, and spirit will collectively thank you for) one of the greatest opportunities we have to impact our skin’s health and wellness happens just before our heads hit the pillow. Why? Because according to research conducted at the University of California Irvine, new skin cells actually re-generate and grow faster while you’re sleeping. So, consider this your night time skin routine wakeup call! Be honest with yourself and consider what kind of results you’re looking for and compare that to how well you’ve been sticking to your pre-bed routine. Some of you reading may be horrific, egregious offenders. Many of you may be ready to host your own tutorial because you’re just that good. A good portion of people tend to fall somewhere in-between. We personally know many people who get it 100% right but only some of the time. No matter where you fall on the spectrum, here are some night-time practices and products that will make you want to stick to your routine each and every day because you’ll be feeling great and looking well. 1) Never Go to Sleep Without Washing your Face and Thoroughly Removing All Makeup. Just Don’t! Yes, we’ve all heard this a thousand times over but somehow there are still people out there who need to hear it one thousand and one times. You know who you are. STOP! Whether you just Uber’d your way home straight off of a red-eye after your Summer getaway came to an end or you’ve just finished a sixteen hour work day and are beyond exhausted, we know there are many reasons to skip that facial cleansing that may feel perfectly legitimate in the moment, but WASH YOUR FACE! Your future self will thank you. This is a non-negotiable. You need to remove all of the makeup and debris from your face. Find your perfect cleanser here. Splashing water on your face isn’t cleansing. NO, hotel bars of soap won’t cut it. Stop with the discount drugstore goop that does more clogging than cleansing. This is your skin we’re talking about here! No matter what your skin type, IMAGE Skincare has the perfect cleanser for you whether your emphasis is anti-aging or anti-acne. Set yourself up for success! Keep a skin cleanser at home, keep one in your desk drawer at the office, and keep one in your bag so your routine goes everywhere you go. No exceptions, no excuses. Applying a mask should be mandatory (at least on a weekly basis). This is the perfect opportunity to put your phone away, pick up a magazine and decompress. Okay. It’s also an opportunity to empty the dishwasher, balance your checkbook, do some living room yoga, or stream season four of that show you can’t stop watching. It’s also a great time to list some items for sale on your online shop, skim that report once more before the meeting, or book that hotel for the conference. It’s your time. And the best part? You get beautiful skin as a result! It’s like unwrapping a present only to find a second present. 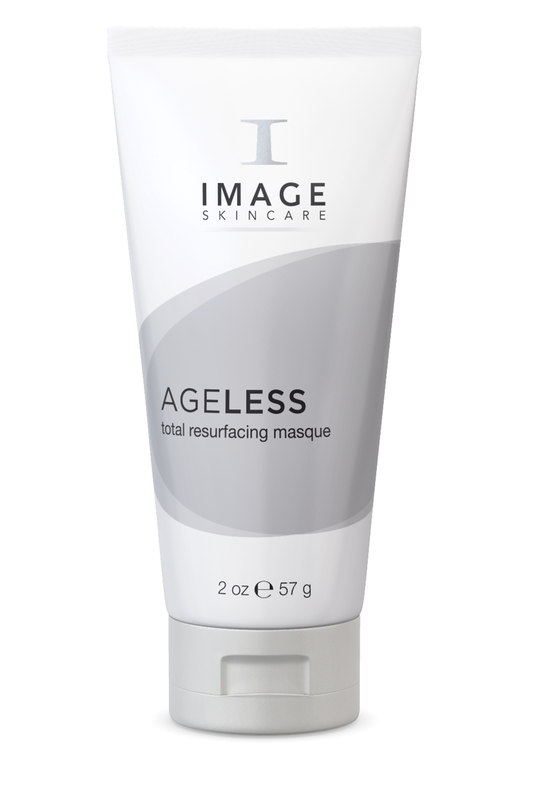 Check out our Ageless Total Resurfacing Masque which can be used in tandem with any of our aforementioned cleansers. 4 ) Eye Know, Eye Know – Eye Cream, Right? It’s never too early to take excellent care of your eye area and find the perfect eye crème for you. Some people struggle with puffy eyes, others focus on anti-aging, and some people may not know what they’re striving to accomplish originally but will soon realize what a difference adding eye cream to your skincare regime makes. Pre-bed self and skincare doesn’t just revolve around your face. Our Ormedic balancing bio peptide crème features a unique blend of green tea, aloe vera, chamomile and grape seed. In a word: yum. It’s completely relaxing. What could prepare you for sleep better than a palpable reminder that you are taking fantastic care of yourself? Lastly, regarding moisture, moisture, moisture… don’t forget to give your neck, hands, and body the attention and moisture they crave as well. You’ll sleep like a baby.